We don’t really understand how Trogdor the Burninator ended up becoming one of the most (if not the most) popular characters from Homestar Runner. Whether it be the utter ridiculousness of his appearance, his penchant for burning everything in sight, or whatever it may be, the character just appealed to people in a way that’s surprisingly lasting. For that reason, the Brothers Chaps has decided to bless the world with Trogdor!! 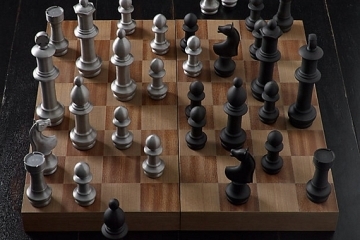 The Board Game. 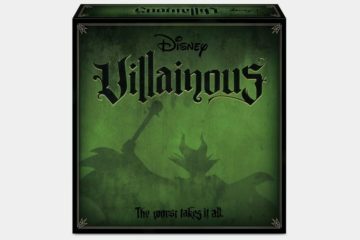 That’s right, the dragon with the Popeye-like muscular arm is getting his own tabletop game, allowing his fans to enjoy the meme-worthy character without a backlit-screen in sight. 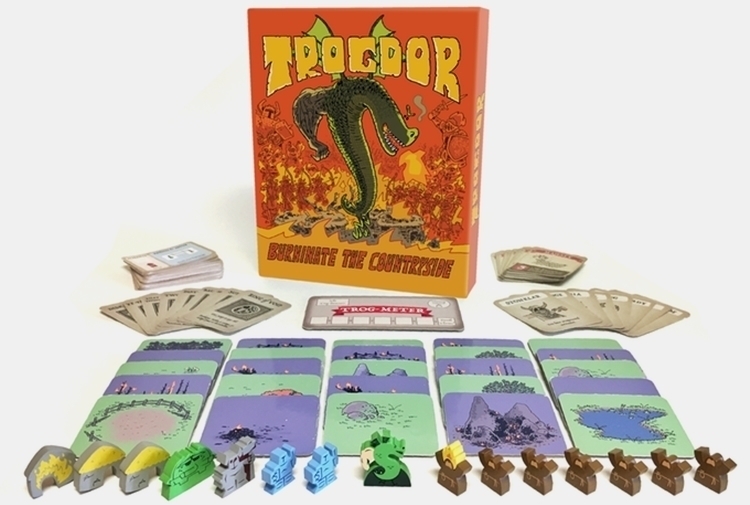 And, yes, the goal of the game is to help Trogdor burn everything in sight, making for a board game that truly lives up to the absurdity of its main character. Trogdor!! The Board Game sees the dragon descend to the kingdom of Peasantry, where he will seek to “burninate” everything and everyone that gets in the way. You and up to five companions are designated as the Keepers of Trogdor, a strange and mysterious group whose lives are devoted to aiding the mighty dragon in all his destructive quests. 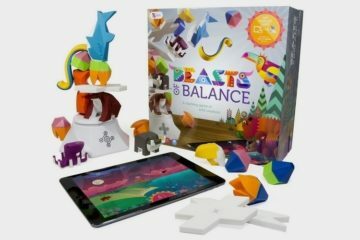 Yes, it’s a cooperative game for two to six players, so it’s a great tabletop option for those looking for an alternative to competitive board games. Your goal, then, is to ensure Trogdor’s success by helping assist him in any way that you can, whether it be helping him hide from archers looking to put an arrow into his head, preventing peasants from escaping, or blocking the path of brave knights looking to battle the fire-breathing dragon. Each game is played with 25 double-sided tiles that represent the kingdom’s terrain, each of which comes with unique artwork. 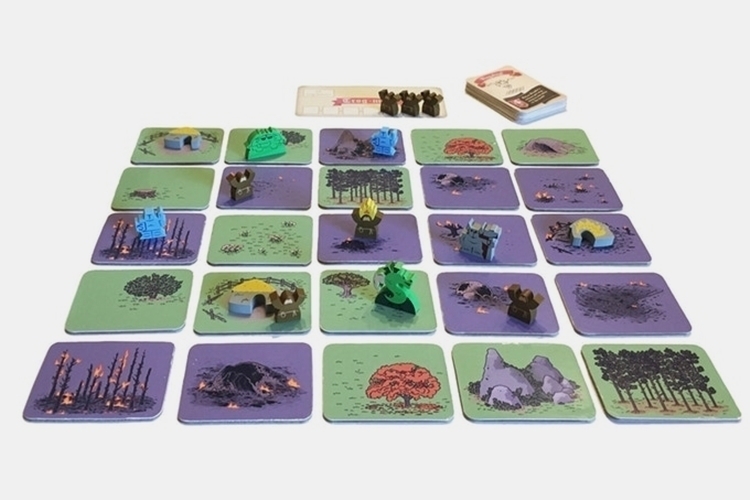 You set up the tiles in a 5 x 5 grid (your choice of placement), place three cottages in their designated tiles, and place the meeples for the various characters, namely Trogdor, three peasants, two knights, and one archer. The knights and archer are all playing to kill the dragon and your job is to use your action cards to stop them. 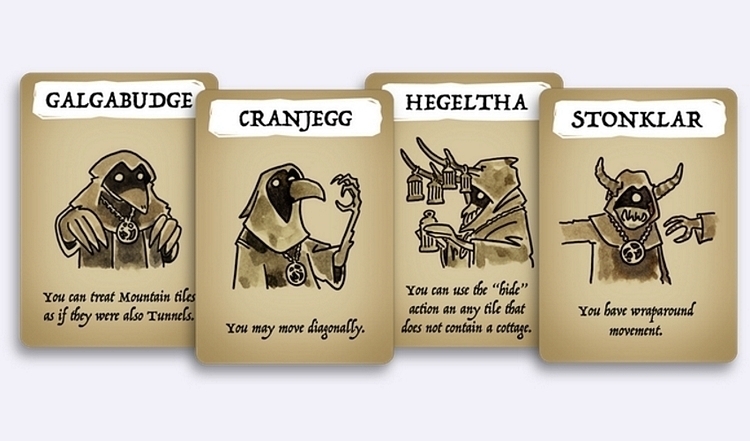 To play, you start by playing an action card for Trogdor, then draw an action card for the other characters (actions for the peasants, knights, and archer are all in one card). Then, the next player uses an action card for Trogdor and draws another card for the other characters, with each player alternating the dragon’s actions with actions for the rest of the characters in the board. Game ends when either Trogdor is stopped (you all lose) or the entire 25 tiles are completely “burninated” (you all win). Each game last 30 to 45 minutes. Aside from the 25 tiles, Trogdor!! 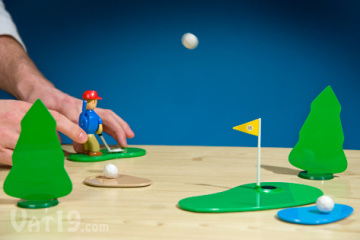 The Board Game comes with 12 meeples (one for Trogdor, seven for the peasants, two for the knights, and one for the archer), three cottages, and one removable flame helmet, all of which are made from wood. 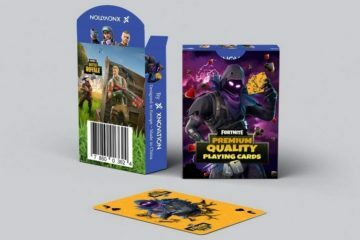 Four decks of cards are also included, along with an instruction booklet. 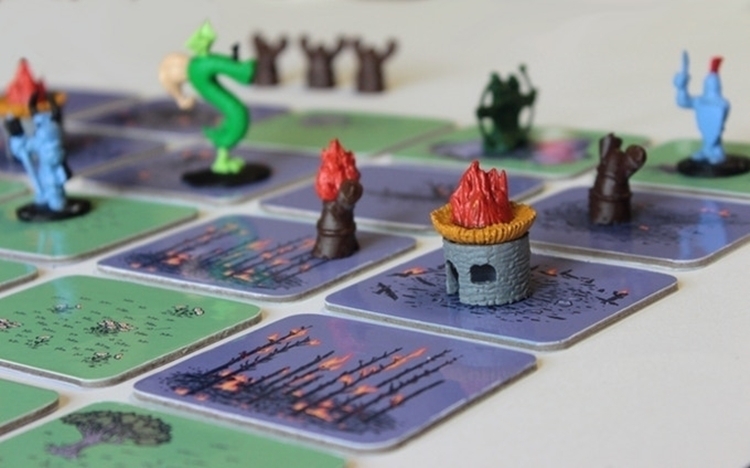 A Kickstarter campaign is currently running for Trogdor!! The Board Game. You can reserve a unit for pledges starting at $40.